WellStrong open only to those in recovery. EAST FALMOUTH — A nonprofit gym exclusively for people in recovery from addiction is set to open Friday in Teaticket. After nearly two years of organizing and fundraising, Amy Doherty, of Centerville, and a core group of supporters are unveiling WellStrong in a 2,500-square-foot space on Alphonse Street. 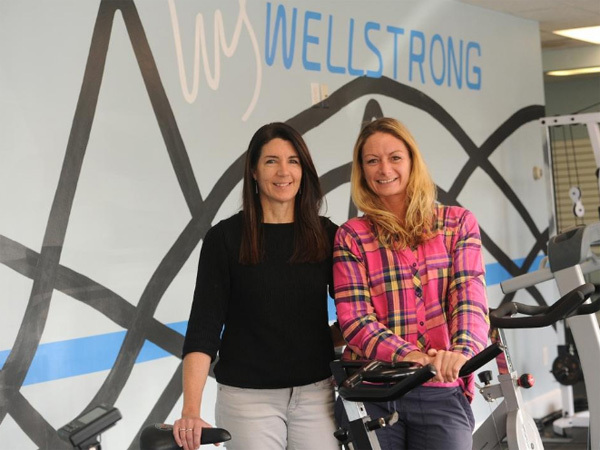 Amy Doherty, left, and Christa McCutcheon are part of the team at the WellStrong gym opening in Teaticket for people in recovery from addiction. Doherty is the founder, and McCutcheon, who is in recovery, will be working at the gym.